Whitespots is a large townland in County Down. It has a completely English name, which cannot have been the original one. According to the PLACENAMESNI website, the older Irish name was Ceathrú Chamchoise meaning “crooked-leg quarter”, perhaps connected to a river called Alchamcoiss. The name Whitespots, first recorded in 1675, may have been imported from Scotland. This stone wall is on Mountain Road. 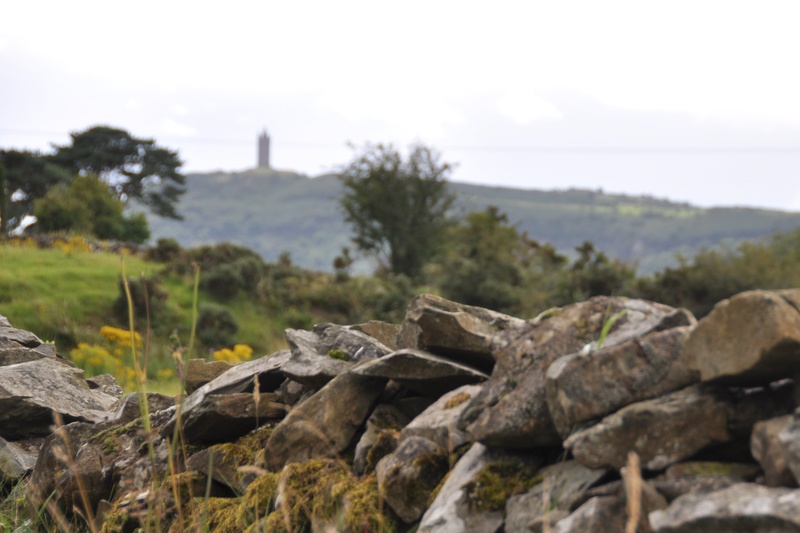 It’s not quite a mountain – not even as high as Scrabo, which you can see in the background. Whitespots was once mined for lead. 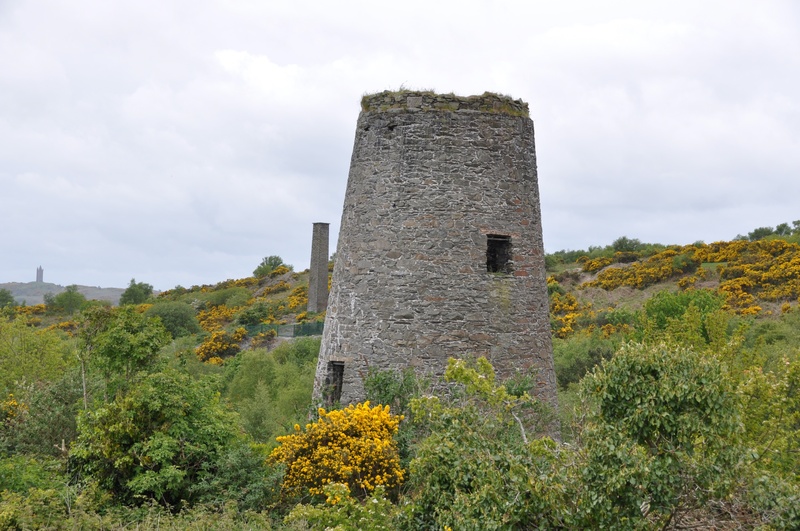 The mine closed in 1865, but you can still see an old chimney and windmill tower in Whitespots Country Park beside the dual carriageway connecting Newtownards and Bangor (A21). “The major lead deposits at Whitespots lay close to the port of Bangor, and these ores from the handful of Ulster mines were readily transported to the Scottish ports and to the smelters on the Dee in North Wales”. I can back up Woodrow’s comments about the location with my next photo. 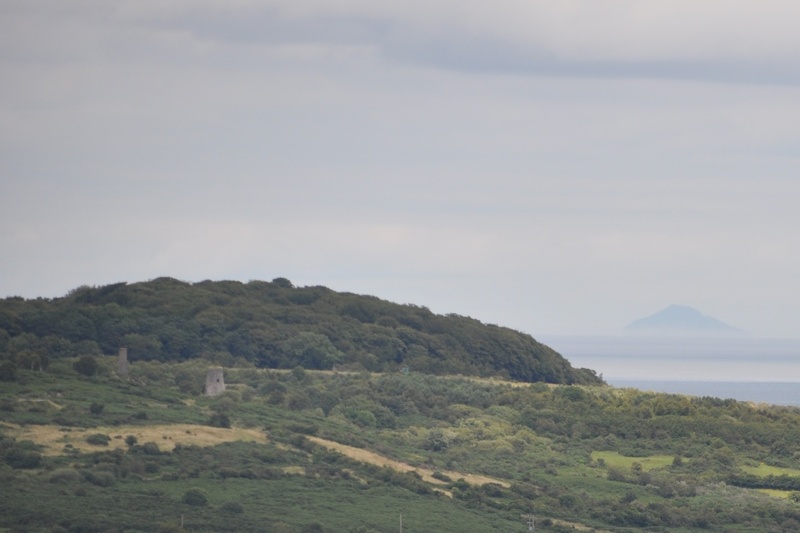 The stone towers of Whitespots are on the left, below the wooded area; and a Scottish mountain is just visible in the distance, across the Irish Sea. If only I could identify the mountain with any certainty… is it Ailsa Craig? Or Goatfell? Moving on to the 20th century, this area played a role in the First World War. In 1914 soldiers volunteering for the 36th (Ulster) Division of the British Army trained on the Clandeboye Estate, before leaving for England, from where they travelled on to France and the Battle of the Somme. Clandeboye extends across several townlands, so I’m not sure if the training camp was in Whitespots, Conlig or Ballyvarnet. Clandeboye House itself is in Ballyleidy townland. In any event, the service of those soldiers is now commemorated in the Somme Museum in Whitespots. 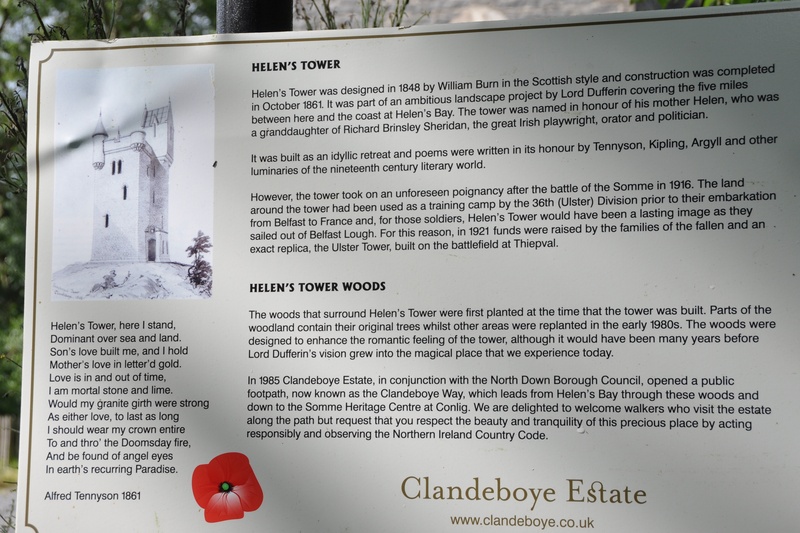 Another memorial is provided by the Ulster Tower in Thiepval, France, which is a close copy of Helen’s Tower in the Conlig section of the Clandeboye Estate. 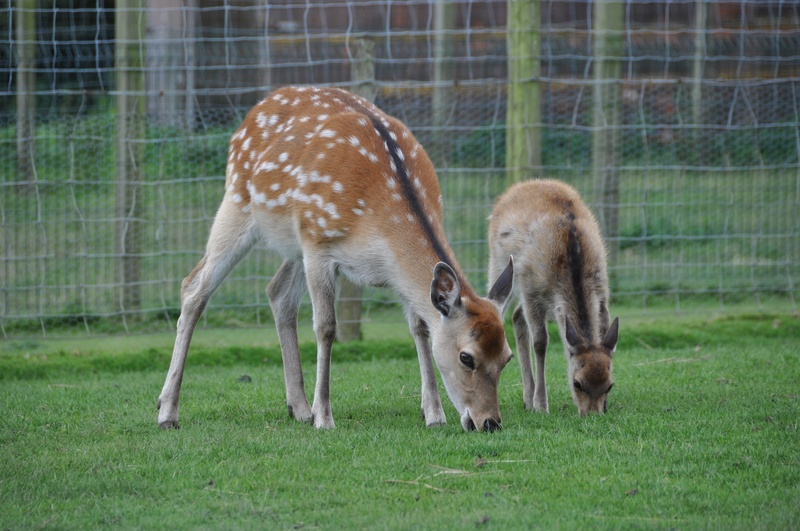 It’s not all mining and wars in Whitespots. 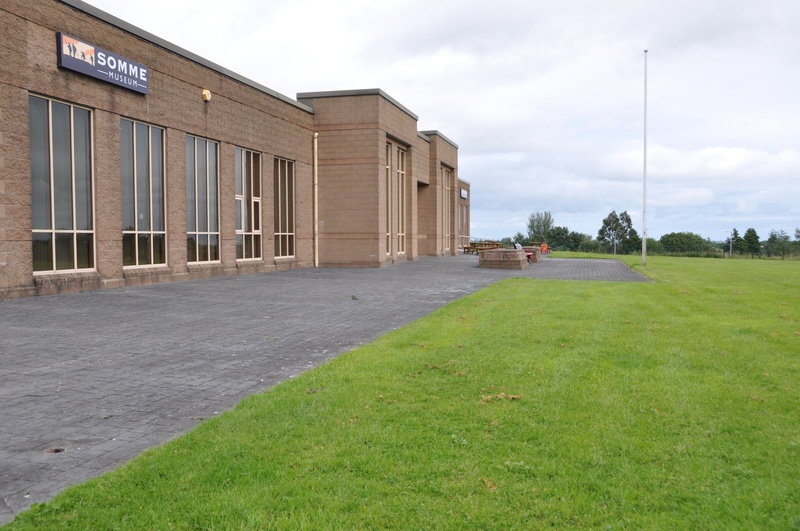 I will finish with the softer side of the townland – the Ark Open Farm. Here are three photos of the farm animals. 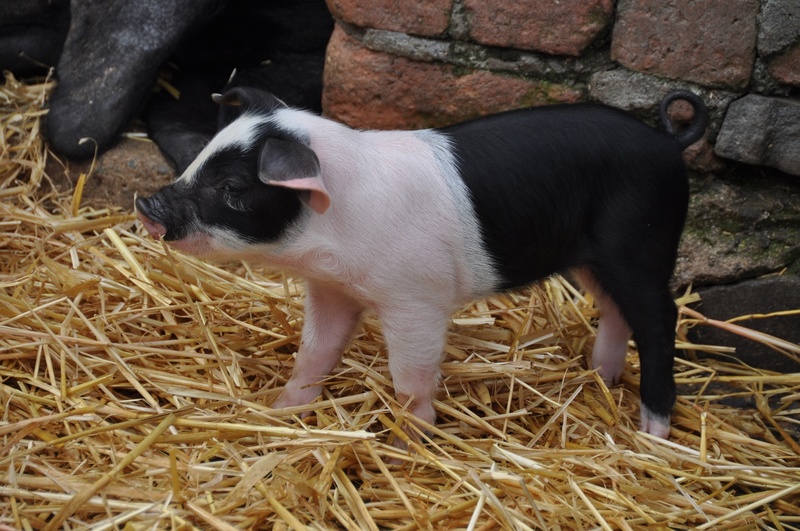 The saddleback piglets were born on 13 August- so I was photographing this one at three weeks old. Click here for the website of the Somme Museum. Click here for the website of the Ark Open Farm. Click here for the history of Whitespots Lead Mine on the website “Northern Mine Research Society” . Which townlands border Whitespots? Drumhirk, Ballyharry, Corporation North (and a tiny bit of Corporation South) , Tullynagardy, Ballyskeagh Low, Ballyvarnet, and Conlig. No goats or sheep? For shame! 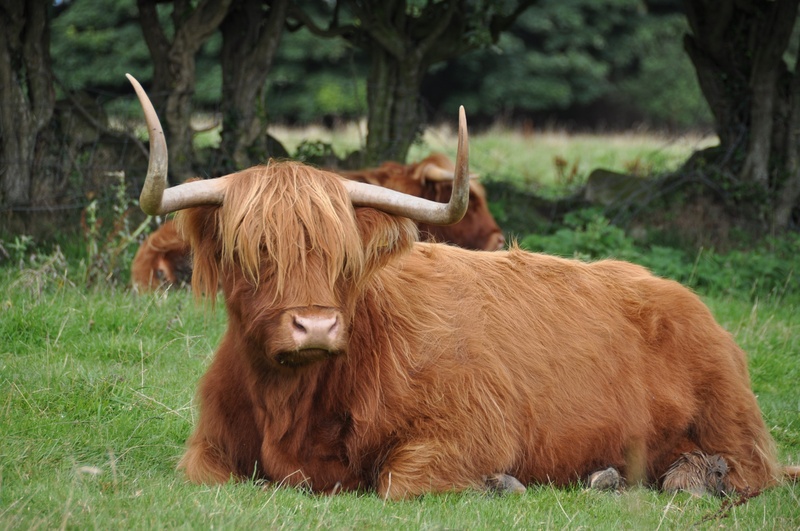 I love the blind bull / cow with too much hair to see anything!